Viet Nam Environment Administration Director General Nguyen Van Tai talks with Viet Nam News about the environmental challenges Viet Nam is facing and what to expect in the future. Today is the opening day of the 4th National Environmental Conference. What has Viet Nam done and has yet to achieve since the last conference five years ago? The biggest achievement we were able to pull off was to partly contain the increasing rate of environmental pollution or the rate of environmental degradation. With a developing country like Viet Nam, the elimination of pollution is deemed impossible with economic development. What we can and should do is to hold the pollution rate down. We could do this thanks to the improving legal system since the 3rd National Environmental Conference in 2010. The new Law on Environmental Protection released in 2014, in particular, helped to fill in legal loopholes as well as hand environmental management authority to one single administration: the Ministry of Natural Resources and Environment (MoNRE). Instead of the old system in which different ministries and organisations shared responsibilities to manage the environmental issue, MoNRE now will act as a sole conductor for general management, which in turn will unify actions from central to provincial levels and establish co-ordination among relevant ministries in environmental protection. However, numerous challenges still lie ahead with the three most serious environmental problems including domestic waste water treatment, solid waste management and the biodiversity issue. Forest coverage was decreasing to a very severe extent while primitive forest was close to non-existent with more plants and animals becoming extinct. The prime reason for these issues was the unclear responsibilities among management authorities or among ministry to ministry. Authorities struggle to enforce law while the national funding to tackle these issues was insufficient. Another challenge was the impractical, non-pragmatic and confusing regulations which overlapped each other, making management work less effective. Thirdly, the authority system was being overloaded. Environmental issues were expected to increase by four or five times for every doubling of the economy. Yet the system structure and the investment resources, including both capital and personnel, still remained unchanged and couldn't meet the management demand. The last challenge came from outside. As a matter of fact, Viet Nam has become a dumping ground for global technology trash where outdated machines are constantly imported to use or just to be kept in storage at the ports. Another example was the impact of hydroelectric power plants built on the Mekong River in China on the water level of the Red (Hong) River in Viet Nam. In short, there are many problems we have to face now yet our policies, unfortunately, are not fast enough to catch up. How about the budget for environmental protection? Do we encounter any difficulties in allocating the budget? Despite all the talk that Viet Nam is growing fast, in fact, our country is still a poor one with the GDP per capita of only approximately US$2,000 a year, only a fifth of the annual average income of the world. The national budget, already very limited, has to allocate for many other sectors like poverty eradication, education, health and national security and defense. How can we find the money for environment problems? Despite the "one per cent budget" which will distribute one per cent of the annual national budget for environmental protection, it is never sufficient. The one per cent budget allocates roughly VND15 trillion ($666.6 million) a year, but that amount is barely enough to build a few of the waste water treatment facilities, let alone to cover all 64 localities across the country. Therefore, the State can't, and will not fund everything but will only support the society to tackle environmental issues. The main players here should be the community, the economic sector and related parties. In the upcoming time, Viet Nam will apply a principle in which the polluters must pay for the pollution caused by them. Another adopted principle is to ask the beneficiaries to pay for the environmental well-being they enjoy so that the State will gain the budget to further improve the environment. 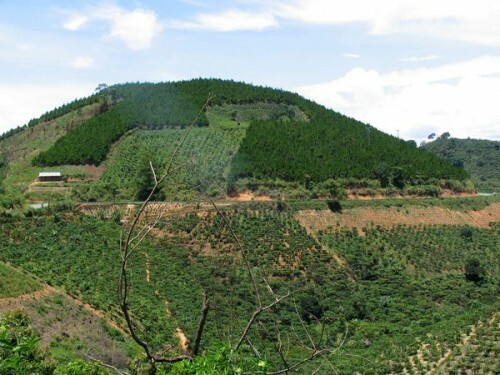 Viet Nam will also promote the public-private partnership to turn the environmental sector to a beneficial business sector, which also helps the country to return environmental loans to international organisations. And with such a limited budget, Viet Nam's priority is to invest in methods and means to prevent new environmental problems from emerging. The existing problems, meanwhile, will take quite an effort and time to deal with. What do you think of the extreme exploitation of natural resources so far? Does Viet Nam have any law to regulate sustainable exploitation of natural resources? Sustainable exploitation of natural resources is not something new. Since 2013 when government officials discussed Resolution 24 on actively responding to climate change, to strengthen natural resources management and environmental protection, the policy to exploit resources by a "reasonable, effective and sustainable manner" has come to the surface. Yet apart from Resolution 24, other laws or legislations hardly define, mention or regulate on reasonable and sustainable resource exploitation. If you exploit non-renewable resources, you have to plan on what to invest and exploit later when the resources run out. In the case of renewable resources, you can only exploit within its renewable capability. Our way of exploitation, for example fishing, in which even chemicals and explosives are used, kill not only grown fish but also small fish and destroy their living environment. How can the resource be able to renew itself? Surely, Viet Nam will soon have to develop regulations on reasonable, effective and sustainable exploitation of natural resources. Viet Nam has committed to sustainable development with the recent trip of President Truong Tan Sang to the UN Summit last week. What is Viet Nam going to do to realise the newly adopted Sustainable Development Goals (SDGs)? Before 2015, we had Millennium Development Goals (MDGs) which also directed the global development towards sustainability, yet that direction was quite general and unclear. The United Nations now adopted 17 new goals and 169 targets on sustainable economic, social and environmental development for the next 15 years. Viet Nam of course will soon have to act on that to achieve those goals, especially the ones regarding poverty eradication, social development and environmental protection. Viet Nam will have to institutionalise those goals to the development strategy of the country via newly adopted policies, plans and regulations. The country will also have to establish new governmental agencies as well as allocate resources to implement such plans and policies in order to reach those SDGs. Viet Nam will also attend the upcoming 21st United Nations on Climate Change (COP21) in Paris, which is hoped to achieve a universal agreement on climate. Do you think that this is feasible? Previous COPs that attempted to establish a legally-binding agreement in reducing the greenhouse gas emissions, with the latest in Copenhagen, all failed in reaching a global consensus. Without any binding agreements, the amount of global greenhouse gas emissions has increased dramatically in recent years, resulting in much faster climate changes than expected. The climate change issue can't be solved by a sole country or by a region but by every country on earth to tackle the issue. Hence, the COP 21 is hopes to bring together all countries, both developed and developing ones, in order to reach an agreement in cutting the greenhouse gas emissions. Yet personally I think there are three main obstacles to such an agreement. Firstly, the conflicts among world powers like EU, Russia and the US will likely prevent them from sitting down and negotiating for a consensus. Secondly, the economic crisis. A strong economy and major resources are needed to resolve environmental issues. But many economies are slowing down or fell to recession like China or European countries. And the last one is that countries which emit the most like China and the US, ironically, are not the ones to commit the most strongly.